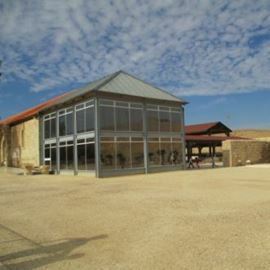 In 1875, Carmelite nuns purchased farmland from the village of Emmaus, north of Latrun. Around the same time, two American entrepreneurs built a hotel on the remains of a Crusader fortress. The hotel was called "The Maccabees Hotel" and served the passengers on the roads that came from Jaffa to Jerusalem, a journey that took two days. In 1892, the railway line was inaugurated from Jaffa to Jerusalem, the passenger traffic in carriages was greatly reduced and the hotel closed. A Trappist monk purchased the hotel and together with other monks established the monastery, planted olive trees, vineyards, a vegetable garden, planted pine trees and cypress trees, and set up a clinic and a library. 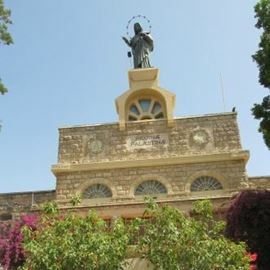 The monastery of Latrun is the only monastery in Israel belonging to the Trappist Order known as the "Monastery of the Silence." The monastery's lifestyle is based on simplicity and harmony, monks who have made the vow of silence. The monks make their living from agriculture and a winery located in the monastery, from the grapes in the vineyards they own. They produce about a quarter of a million bottles of wine a year. 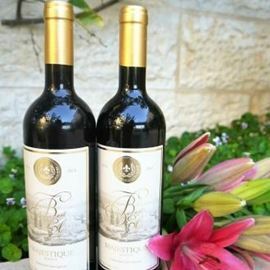 The wines are sold in the monastery shop alongside agricultural products like honey, olives, olive oil, souvenirs, and books. There are musical concerts with an entrance fee and by pre-registration. The monastery is a religious place of worship, and therefore the place must be treated in a modest manner, you must keep quiet, to remove hats at the entrance to the church, and it is forbidden to photograph inside the church. For the convenience of the travelers - organized parking and picnic tables, and a shop selling convent products, mainly wines. From the monastery you can go on a walking trail, a 2 km long track (about two hours walk), exit the parking lot to the 7th Brigade monument and return on the same route. Using WAZE, write Latrun Monastery. For those coming from the center - drive on Highway 1 - Tel Aviv - Jerusalem, at the Latrun interchange, exit right and right again, continue until the traffic lights junction (Hativa Junction 7) and turn left. Travel about half a kilometer and park in the parking lot of the monastery. 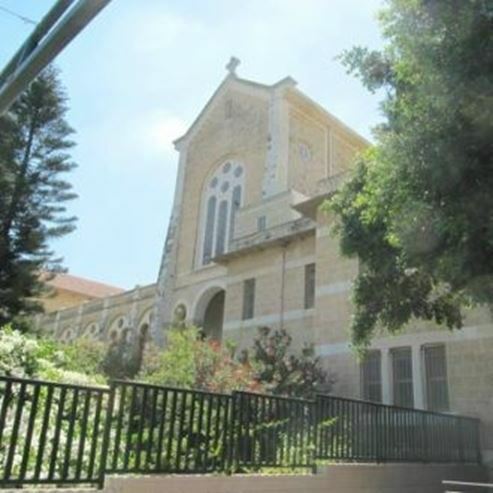 For those coming from the west, arrive at Masmiya Junction, continue east on Route 3 towards Latrun, arrive at Hativa 7 junction and turn right, continue for about half a kilometer to the parking adjacent to the monastery.